Due to a change in the indexing system, pages of books and newspapers were not being picked up in full text or OCR searches. We have been examining this problem and we have come up with an enhancement to the system that will allow users and researchers preview pages in search results and also view the title of the book or newspaper containing the page. When you select a page from the search results, users will be taken to the page in the book or newspaper object with the search terms highlighted on the page (#1 below). 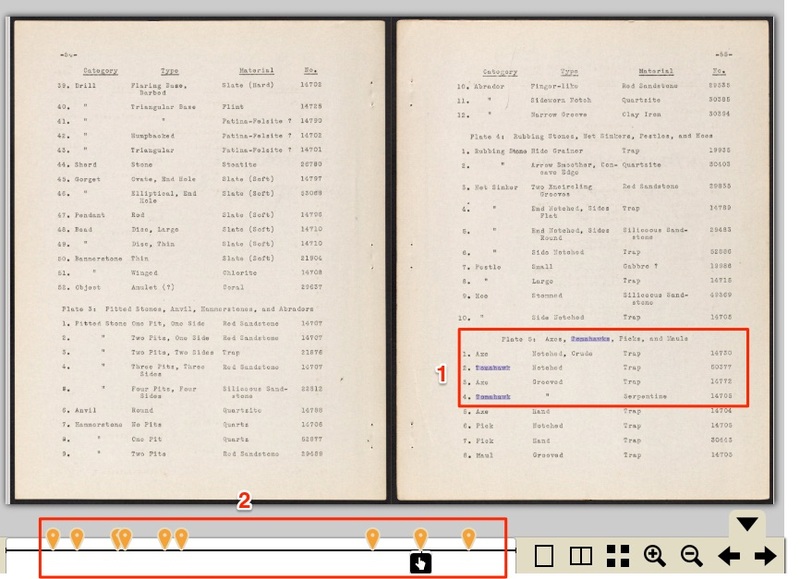 Users will also be able to see if the term appears elsewhere in the book by viewing the page slider at the bottom of the book viewer (#2 below). The upgrade works for both books and newspapers.